Dr. Dianne Little and Dr. Russell Main, assistant professors of basic medical sciences, were key contributors to the Orthopaedic Research Society (ORS) 2017 Annual Meeting held March 19-22 in San Diego, Calif. Purdue Veterinary Medicine had an extended presence at the meeting with Dr. Kurt Hankenson, department of basic medical sciences alumnus (PU MS '97), as the current chair of the ORS Preclinical Models Research Section and Tommy Jenkins, research assistant in the Little Lab, who also presented a poster on his tendon tissue engineering work. The ORS annual meeting provides many ways for researchers and clinicians in the field to grow including a standing Preclinical Models Research Section, whose goals are to advance preclinical models research to improve patient care, provide leadership and resources for those who use pre-clinical models, and promote education and collaboration in the field. Approximately 5% of the overall ORS membership are veterinarians, thus a further goal of the section is to promote interdisciplinary teams of researchers, human orthopaedic surgeons, specialists in laboratory animal medicine and veterinarians. Dr. Little is the research and education chair for the section. This year the Preclinical Research Models Section hosted a standing-room only workshop, co-chaired by Dr. Main, where researchers shared crucial guidelines and insights for using pre-clinical rodent models for understanding skeletal biology and biomechanics; studies highly relevant to diseases such as fracture and osteoporosis. 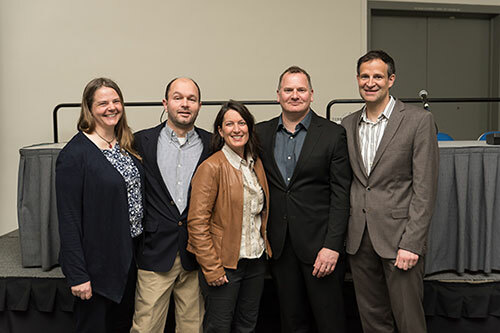 Dr. Main and his collaborators will develop the content of the workshop into a published set of best practices for developing new, and optimizing current, animal models of in vivo bone loading in orthopedic research. Standardizing in vivo research procedures is critical to improve reproducibility, rigor and repeatability, and for improving welfare of animals used in research, and our PVM Orthopaedics group is helping to lead the way! Dr. Dianne Little (left) with fellow Preclinical Research Models Section officers. 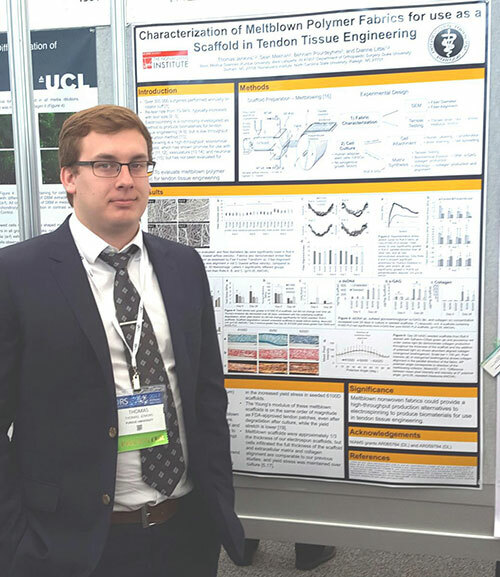 Tommy Jenkins, research assistant in the Little Lab at PVM, with his research poster presented at the Orthopaedic Research Society 2017 Annual Meeting.